You are here: Home / Kroger Deals / Kroger Products Make Great Chicken Salad!!!! Kroger Products Make Great Chicken Salad!!!! Chicken breasts are on sale for $1.99 a lb right now! 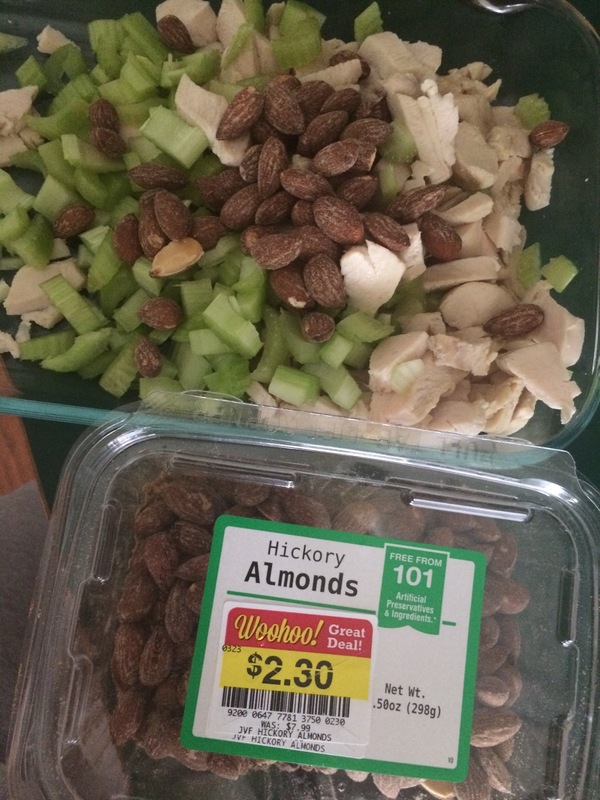 Cook in the crockpot then chop and mix with celery, almonds (Kroger clearance) and your choice of dressing! Easy and delicious!!!! Serve on whole grain bread or eat straight off your plate! Can look at my blog to see nutritional facts of food at Kroger, and other grocery stores.